High-level US regulators and officials spoke out in favor of expanding the adoption of blockchain technology across government and the private sector at the DC Blockchain Summit, held this week in the nation’s capital. There, representatives from the Trump administration, Congress and executive branch agencies acknowledged the potential of blockchain, and called for further development at the technology’s intersection with public policy. Specifically, they highlighted the technology’s potential to streamline bureaucracy, empower consumers and drive economic growth. 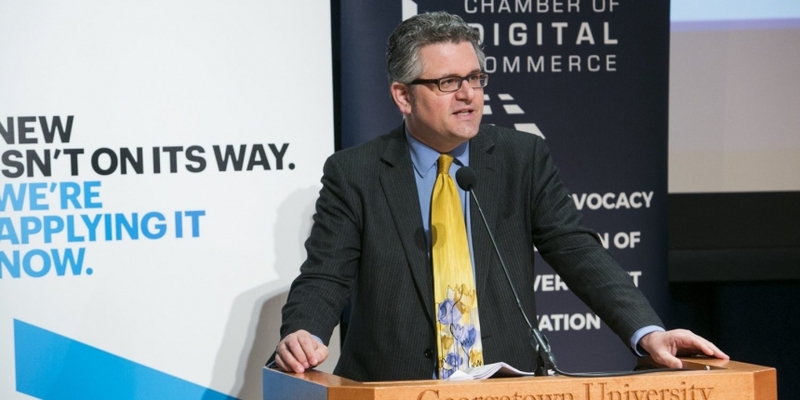 Notably, Mark Calabria, chief economist for Vice President Mike Pence, made an unscheduled presentation Wednesday to tell the gathering that the administration of the president is encouraged by developments in blockchain technology. He said there’s an enthusiasm to see what possible applications exist in government, finance and elsewhere, particularly as the Treasury Department conducts a full review of the financial system. Calabria also iterated that the president’s team wants to listen and learn from the blockchain community, as well as do what it can to lay the groundwork for further development. Elsewhere, the co-chairs of the Congressional Blockchain Caucus addressed the conference and asserted that they are keen to get a stronger grasp on how the technology can be deployed in the public sector. “We’re very interested in helping to facilitate the deployment of blockchain technology in federal agencies and across the government,” said co-chair Jared Polis, a Democrat from Colorado. David Schweikert, the Republican co-chair from Arizona, emphasized that one of the caucus’s main goals is to keep policymakers informed of the technology’s transformative potential, and act as an emissary between government, industry and academia. “How do those of us who do policy not leap ahead and screw up what we don’t know is coming tomorrow? Sometimes those of us who get elected are arrogant sometimes in what we think we know,” Schweikert said. Polis added that despite the heated partisan climate in Congress, he’s optimistic that blockchain could transcend partisan divides. “The utopian aspect of people being in control of their own information has broad appeal to both the left and the right,” he said. Debbie Bucci, an IT architect at the Department of Health and Human Services, also spoke of her efforts to push for blockchain exploration within her department. Last year, her department issued its first-ever call for white papers on how blockchain technology could be applied in a healthcare setting, and earlier this month it held a blockchain hackathon. Bucci suggested that her team’s interest in blockchain has created a softened position within the rest of HHS. Yet, there was an acknowledgement that the private sector has a role to play in the government’s adoption as well. David Treat, managing director of financial services at Accenture, reckoned that the public sector openness to blockchain was not just political grandstanding, but evidence of an ongoing shift inside what are traditionally conservative, risk-averse entities. Blockchain advocates say that adoption of the tech by the government will help normalize it for use in other sectors, and there’s evidence that process is taking place. The DC Blockchain Summit, in its second year, drew more than 450 developers, attorneys and consultants from 20 different countries, according to conference organizers.